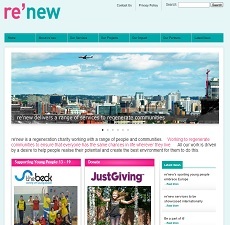 renew Leeds approached Zooble Technologies’ web team to re-develop their existing corporate website which was originally developed in Drupal and was cumbersome to update and illogically structured, making the website hard for users to navigate and find content/information about the company and its services. 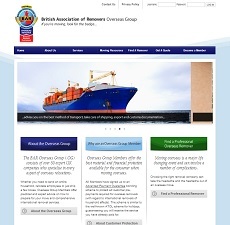 renew wanted to be able to continue to maintain the website themselves, but required an intranet and private area adding for their partner and staff use. The website was developed in Wordpress, but elements and pages were created that allow renew to create pages that are that little bit more graphical than normal, yet easy to embed themselves. A gallery of images and case study pages now describes the work of the company to interested parties, increasing their online status to local and national companies. The intranet element required a forum and document management element to enable staff to more effectively collaborate and use their internal resources more effectively. The management of renew are highly delighted with the new website and we look forward to working with them in the future. Visit www.renewleeds.co.uk to find out more, or contact Zooble Technologies’ web team to give your corporate website a refresh. Zooble Technologies’ website development team have developed and launched a new online training package for the Further Education Tutorial Network. The Director of FETN approached us with a demo flash application that required secure hosting/delivery to further education establishments. However, this application had numerous usability issues and it was decided to re-develop this into an online web application which would give increased flexibility and enhance usability to customers, enabling a reporting system to be bolted on and individual slides amended ad-hoc to enable the package to remain current with regard to legislation and existing/future tutoring practices. This online package enables colleges to train their staff in essential tutoring skills using a variety of web-based interactions and utilising a clean, uncluttered structure that concentrates on the training rather than heavy graphical use. The course enables participants to progress through structured tutoring and then utilises web-based tests to produce a score which is then represented immediately on a personalised, downloadable certificate. Zooble Technologies have also been commissioned to redevelop the existing FETN website to include more information on FETN and its services/events and provide members with a more usable private area which will also include mini-forums – watch this space! The site consists of a public-facing website, with a private area for members to login and collaborate effectively within their removals business scope. The site also allows UK removals companies to interact with their internationally-located partners in order to provide better overseas removals services to customers. Contact Zooble Technologies to increase your business reach online and create online collaboration opportunities with your customers and partners. The site continues the established branding and design of Ron Hull, whilst enabling their past decommissioning projects to be viewed by their potential customers, increasing their onsite presence and reach further into the industrial and electrical decommissioning arena. 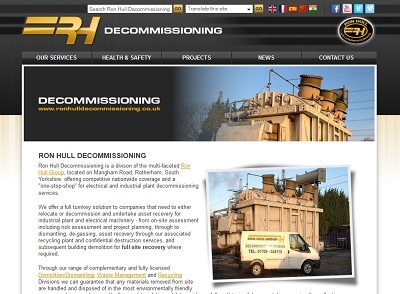 We wish Ron Hull’s Decommissioning Division all the best with this new venture, and look forward to continue working with the Ron Hull Group to enhance their online portfolio. Contact Zooble Technologies’ Website Team now and let us design, create and host your corporate online solution. New contract for Zooble’s Web Team! Zooble Technologies have won the contract to develop an e-learning platform for the Further Education Tutorial Network. The contract will be to provide a training website and online payment gateway which will enable organisations to purchase subscriptions to valuable learning resources. 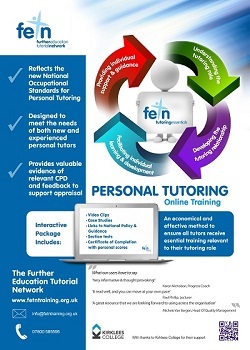 We look forward to working with FETN and helping develop their network reach. Zooble Technologies’ Web Development Team have launched a new online giftware shop for local Mexborough business. Additional functionality regarding the ability to allow customers to add personalised engraving options (with character and line restrictions on a per-product basis) to their gifts prior to purchase was required, along with specifics such as the customer determining the amount of screw holes to be placed in certain plaques were all part of the functional brief accommodated by the website. The design brief was left to Zooble Technologies’ Graphic Designers, but several sample websites were given for consideration, and all-in-all the customer was highly delighted with the design and functionality of the website. Visit www.4thoseuluv.co.uk to see Zooble’s website development and to browse the full range of personalised gifts available. Contact Zooble Technologies now with your website requirements, and let us help you increase your online sales presence!